Enjoy a crafting weekend at SLM! Come spend time in a relaxed, Christ-centered environment, sewing and bonding with other crafters of faith, eating delicious food and engaging in daily devotions. 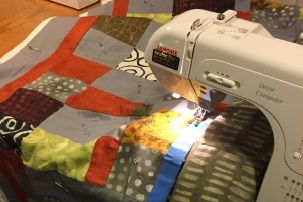 Be inspired by the creativity of others and gain ideas from a quilting expert. Join us January 18-20, 2019!